The aircraft survivability equipment market is projected to grow from USD 3.54 billion in 2017 to USD 4.62 billion by 2022, at a CAGR of 5.49% from 2017 to 2022. The increasing need to protect aircraft against enemy threats, such as air-to-air missiles, surface-to-air missiles, and anti-aircraft artilleries, is expected to drive the aircraft survivability equipment market. The increasing adoption of electronic warfare systems in military aircraft is also expected to fuel the market during the forecast period. Based on fit, the line fit segment is estimated to dominate the aircraft survivability equipment market in 2017 due to the increase in demand for aircraft survivability equipment in military aircraft from the end users. Demand for pre-installed survivability equipment in aircraft coming out of the assembly line is expected to drive the line fit market during the forecast period. Based on platform, the combat helicopter segment is estimated to dominate the aircraft survivability equipment market in 2017 due to the extensive use of combat helicopters in all regions across the world. Based on subsystem, the electronic support segment is estimated to dominate the aircraft survivability equipment market in 2017. Electronic support systems not only detect incoming threats but can also be used to identify other aircraft in the target area. This has led to the increase in demand for electronic support systems. Among regions, Europe is estimated to lead the aircraft survivability equipment market in 2017. Countries in this region include the UK, Russia, Germany, France, and Italy, among others. The presence of some of the major market players, such as BAE Systems (UK), Chemring Group (UK), RUAG Holding AG (Switzerland), Saab AB (Sweden), Terma A/S (Denmark), and Thales Group (UK), and the large number of military aircraft deliveries in this region have contributed to the growth of the aircraft survivability equipment market in Europe. Some of the key players in the aircraft survivability equipment market include ASELSAN A.S. (Turkey) BAE Systems plc (UK), Chemring Group (UK), Elbit Systems Ltd. (Israel), Israel Aerospace Industries Ltd. (Israel), Northrop Grumman Corporation (US), Raytheon Company (US), RUAG Holding AG (Switzerland), Saab AB (Sweden), Terma A/S (Denmark), and Thales Group (France), among others. The study segments the aircraft survivability equipment market based on fit (line fit, forward fit), platform (combat aircraft, combat helicopter, special mission aircraft, UAV), and subsystem (electronic support, electronic attack, non-combat systems), and maps these segments and subsegments across major regions, namely, North America, Europe, Asia Pacific, the Middle East, and RoW (Rest of the World). 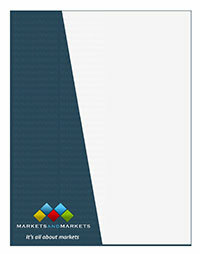 The report provides in-depth market intelligence regarding market dynamics and major factors influencing the growth of the aircraft survivability equipment market (drivers, restraints, opportunities, and industry-specific challenges), along with analyzing micromarkets with respect to individual growth trends, prospects, and their contribution to the aircraft survivability equipment market. From an insight perspective, the aircraft survivability equipment market report focuses on various levels of analysis industry analysis, market share analysis of top players, and company profiles, which together comprise and discuss basic views on competitive landscape, high-growth regions and countries, and their respective regulatory policies, drivers, restraints, and opportunities.